YNot Pizza has been making great hand-tossed pizzas in Hampton Roads Virginia for 19 years. This is our regular location in the Kempsville area of Virginia Beach. Our favorite pizza - red sauce cheese pizza with tomatos, spinach and feta cheese. 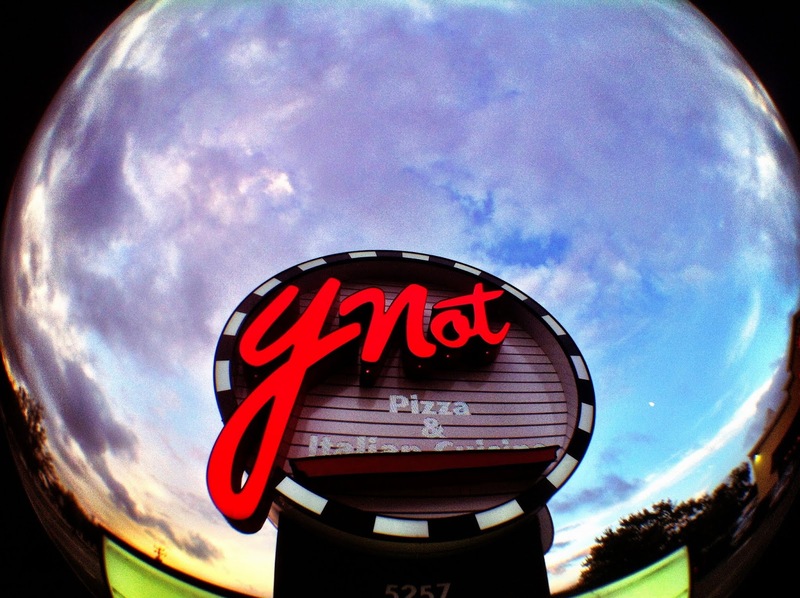 The name YNot comes from the reverse spelling of owner Tony DiSilvestro's first name. iPhone 4 using the Camera+ app and the Olloclip fisheye lens.